Welcome to my 300th ShukerNature blog post! 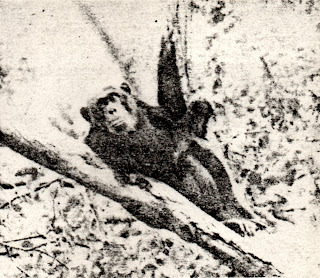 One of the most controversial (and also, at least online, one of the most erroneously reported) of the 20th Century's mammalian discoveries involved a female chimpanzee named Ufiti. Consequently, in this latest in an occasional series of ShukerNature articles regarding previously and presently contentious forms of chimp (click here for my article on the bonobo, and click here for my article on the koolookamba), I aim to rectify this situation by presenting the first accurate online documentation of Ufiti. 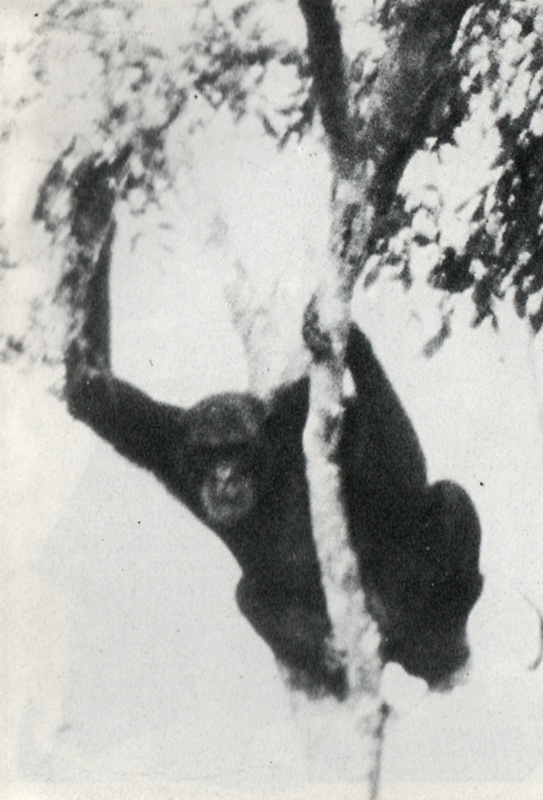 Nkata Bay is on the western shore of Lake Nyasa in what was then Nyasaland (later renamed Malawi), and in August 1959 inhabitants of this bay began to report sightings of a strange ape-like entity in the fringes of the adjacent forest. Such reports were readily confirmed, because the animal in question became very interested in the construction work that was taking place on a new bridge and road at the nearby Limpasa River, and stayed in the vicinity to observe the proceedings, so it was often seen. And as its amiable curiosity largely eclipsed its fear of humans, it could be closely approached. When questioned, the local westerners asserted that it was new to them, not previously known in the area, and the natives referred to it as ufiti - meaning 'ghost'. It was not a ghost, however, but a mature female chimpanzee - which came as a great surprise to zoologists, because chimpanzees had never before been recorded in Malawi. Indeed, the nearest colony on record was at least 480 miles northwest of Nkata Bay - in Tanzania's Nkungwe Mountains, on Lake Tanganyika's eastern shore. In March 1960, a field expedition from the Rhodes-Livingstone Museum, headed by Drs B.L. Mitchell and C.S. Holliday, travelled to Nkata Bay to observe and photograph Ufiti (as she had been nicknamed by then), as well as to obtain tape recordings of her vocalisations, and to study the prevailing ecology of the area. The information gathered during that expedition was then sent to anthropologist Dr W.C. Osman Hill, for his remarks and opinions, which in 1963 he documented within an article published by London's Zoological Society in a symposium of primate research papers. The photos and observations obtained during the expedition revealed that Ufiti, although definitely a common chimpanzee (and therefore belonging to the species Pan troglodytes), exhibited certain unexpected features. 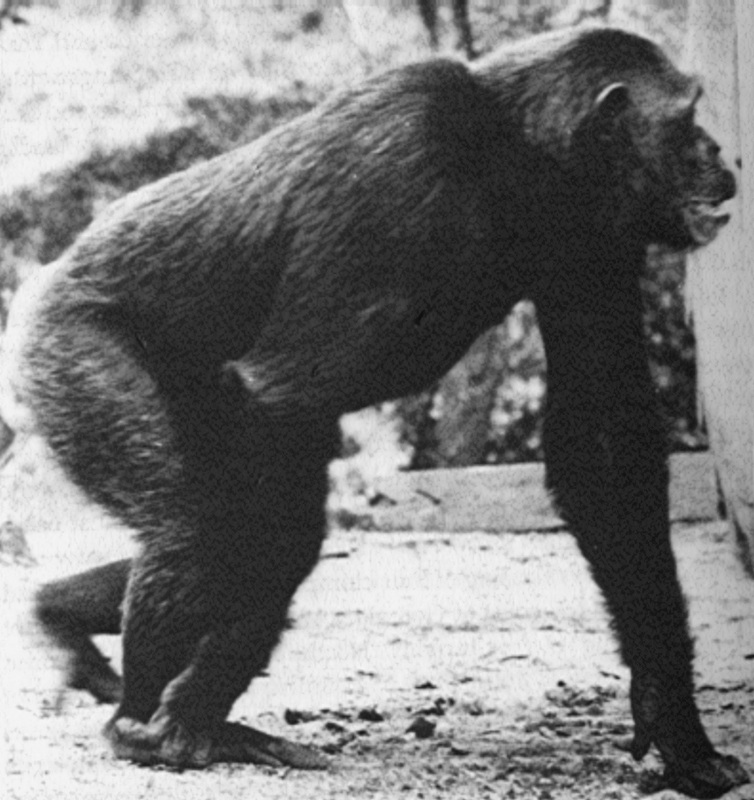 In view of her provenance, she should have been most similar in appearance to East African chimps - but instead, her completely black face, ears, hands, and feet, and also her short, dense coat, allied her more closely with western forms. Equally strange was the presence of a saddle-like area of pale grey fur across her back - a feature characteristic of mature male gorillas! Prior to Hill's article, the predominant opinion among zoologists concerning Ufiti was that she must surely be just an escapee from captivity. However, the morphological features documented by Hill argued strongly against such an identity - inciting speculation that Ufiti represented a hitherto unknown taxon (subspecies?) of common chimpanzee, native to Malawi and normally concealed in this country's dense forests, with Ufiti herself presumably being a wanderer, or an individual cast out of the population by its other members. Worth noting, as commented upon by Hill, is that the Nkata Bay area is well known for harbouring a number of animal and plant species more closely related to West African forms than to East African ones. Moreover, Hill later received accounts of chimpanzee-like creatures from Malawi that considerably preceded Ufiti's debut. Not everyone, however, was convinced by Hill's theory. In their Mammals of Malawi (1988), W.F.H. 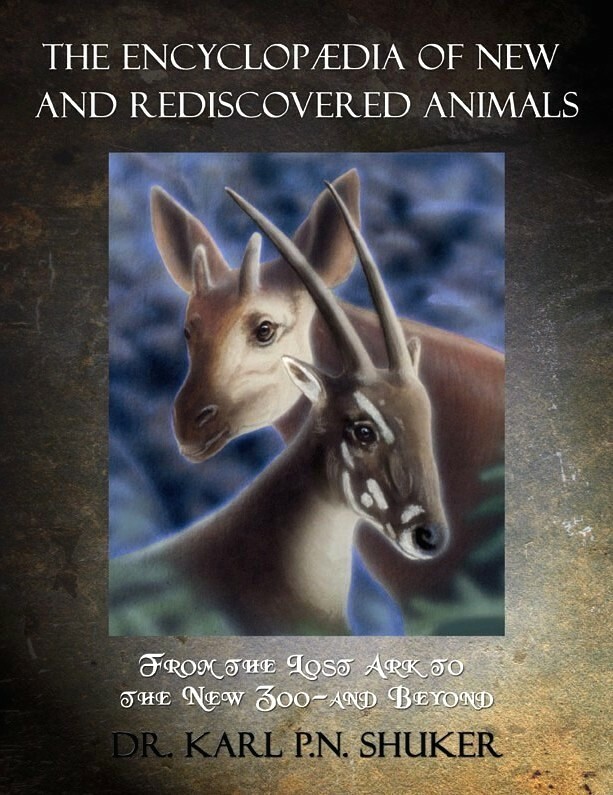 Ansell and R.J. Dowsett claimed that the mystery of Ufiti had been solved, and that she was nothing more than an escaped pet originating in Zaire (now the Democratic Congo). 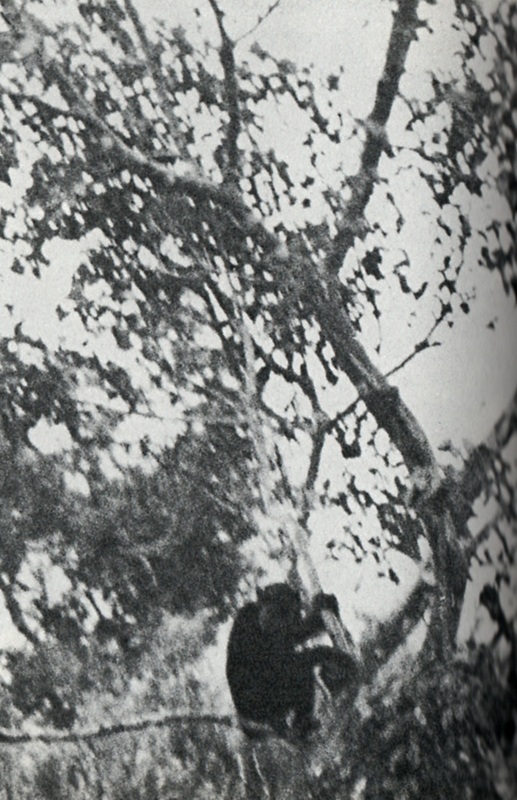 They stated that some years prior to their book's publication: "...the late Fr Tréguier, a White Father at a mission in the Misuku Hills, showed Dowsett a photograph which he had obtained from a colleague, Fr Rainville, of the animal [Ufiti] which was...a household pet brought from Zaire at a time when many expatriates were leaving the country due to the troubled political situation". However, this apparently satisfactory solution is not quite as water-tight as it may seem. For as Ansell and Dowsett went on to say: "It is not known who brought it into Malawi or by what route". So how can anyone be absolutely sure that it did originate from Zaire? Moreover, it is unlikely that an individual chimpanzee can be conclusively identified from just a single picture anyway. Hence it is impossible to say with certainty that the chimp in the photograph truly was Ufiti. 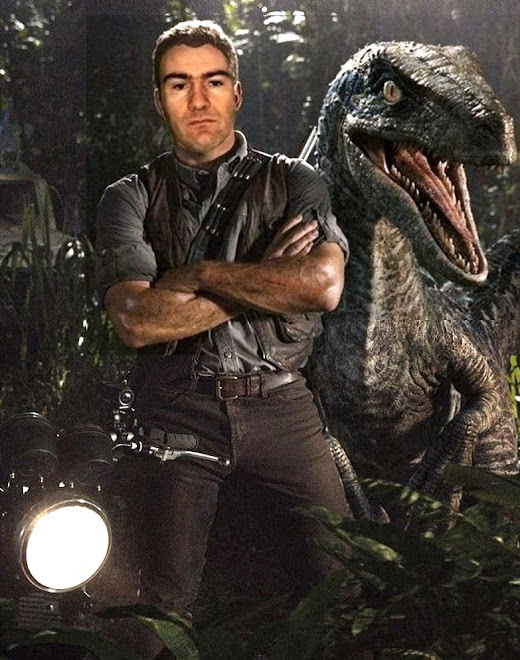 Sadly, the truth as to whether Ufiti was a major discovery or just an escaped pet may never be known. In March 1964 she was captured, and sent to Britain's Chester Zoo, arriving there on 19 March. Unhappily, however, her health was found to be deteriorating rapidly; and so, to prevent her from suffering any further, on 23 April the zoo had no option but to put her down. With Ufiti's passing, the issue of Malawi's putative chimpanzee population was soon forgotten, so that over 50 years after her first appearance the friendly 'ghost' from Nkata Bay may still hold some surprises in store. "Unfortunately its height was much exaggerated by some of the first observers, and their guesses varied from 5 ft 6 ins to 6 ft. In actual fact it is probably a little more than 4 ft in height [i.e. within the normal range for adult female common chimpanzees]." Consequently, Ufiti should not be synonymised with the much bigger variety of chimpanzee lately revealed in the Democratic Congo and referred to as the Bili ape (but unfortunately this error has indeed occurred in a number of accounts, e.g. the Wikipedia entry for Dr W.C. Osman Hill, at least when consulted by me today on 24 January 2013). This ShukerNature blog article is excerpted (and expanded) from my recent book The Encyclopaedia of New and Rediscovered Animals (Coachwhip Publications: Landisville, 2012). Congrats on your 300th blog post Dr Shuker!! It is wonderful to see Karl posting on Ufiti, a personal favorite topic of mine. This was one in which I worked in unison with Sanderson to track down original materials, such as that photo up top. 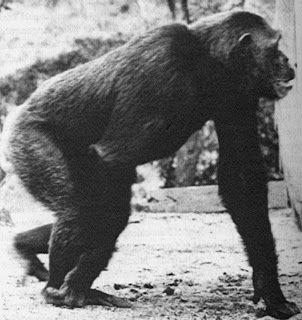 However, as I recall, that original image I received from Africa of Ufiti was of the then seemingly out-of-place chimpanzee in the wild, walking down a road. Not as a captive. "its height was much exaggerated by...the first observers, and their guesses varied from 5 ft 6 ins to 6 ft. In actual fact it is probably a little more than 4 ft in height". Karl I bow to your superior experience in this field but I have to admit I often shudder when I read anything like the above quote. To me at least it's got many of the fudged caked characteristics of a typical Woo Woo assasination attempt. We have the insistence the height was exaggerated confirming the purpose of the piece's to put a stop to any claims to the contrary. Then we're even given a range of the heights alleged by the first observers conveying the impression the variations're proof alone these people didn't know what they were doing. And then most audacious of all after refering to the first observers' observations as "guesses" the author then guesses Ufiti was PROBABLY no more than four feet. How much more than four feet? Two inches? Twelve inches? I'd be very intrigued to know if Ufiti was ever measured properly and if any dna was preserved. Thanks very much Marty C and Drjon!! THank you for the memories of Ufiti . I was a little girl in Nyasaland and we used to stop en route to Nkata Bay just to see her . She craved company and seemed so sad all alone. She was very curious and I was told she'd gone to live with her friends when I was upset that she'd gone!